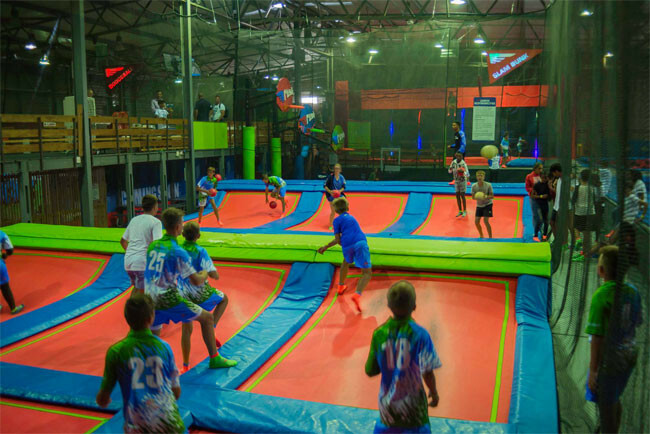 If you've never been to an indoor trampoline park, you're in for a treat. Rush has over 30,000 square feet of adventure, excitement and challenges. 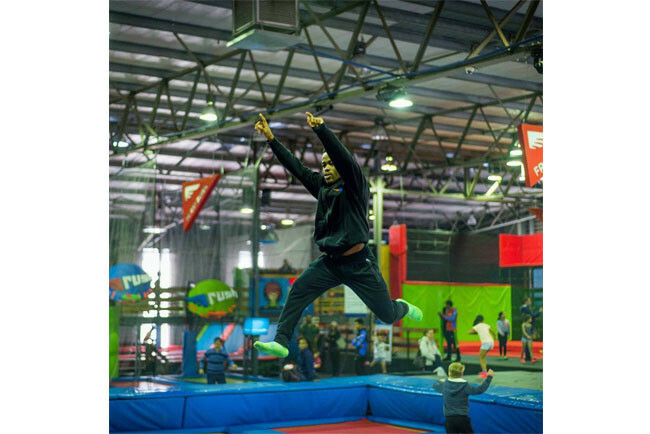 Perfect for all ages, our wall-to-wall, interconnected trampolines will get your heart pumping and your face smiling. 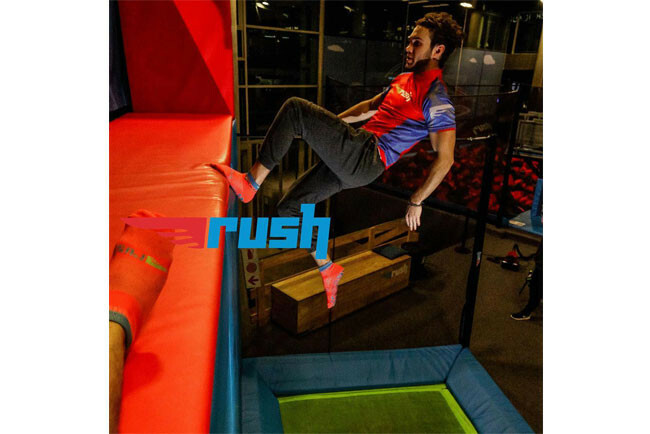 Over 17,000 square feet of trampolines, 2 dodgeball courts, 3 basketball lanes, a gigantic foam pit, 2 tumble lanes, a free-fall stunt jump foam pit, a battle beam and a fidget ladder. For our non-participating guests, we offer free Wi-Fi, viewing gallery with funky seating and vending, a rather lovely coffee shop and lots of big screen televisions. For the kids we offer open jumping, birthday parties, toddler sessions, after school freestyle coaching, tumbling sessions, teenage disco nights, school and university groups and a whole lot more. 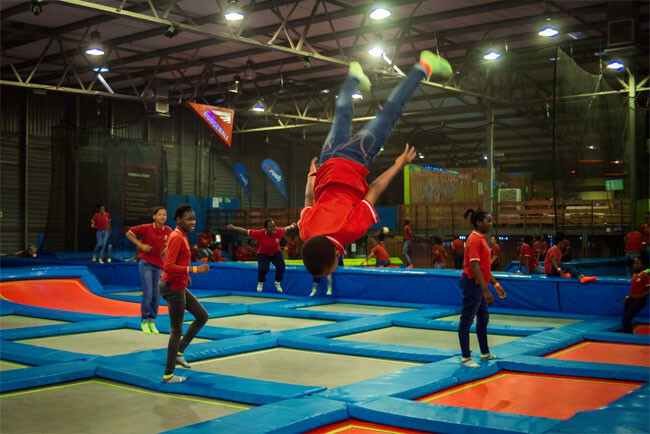 For the adults we have open jumping, freestyle performance trampolines, dodgeball and corporate team building events. There's something for everyone, be it working on the latest park our flips and tricks to spending quality time with your family.